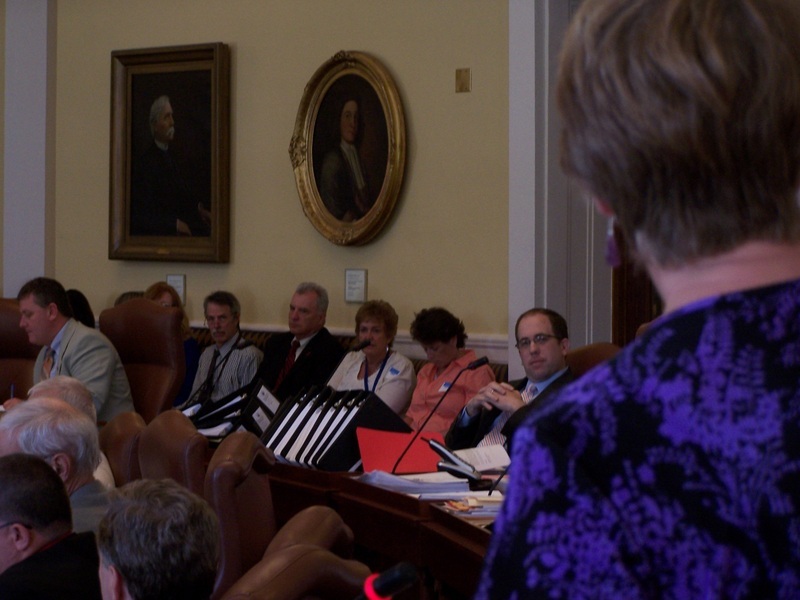 Senator Anne Haskell (D-Portland) thanks retiring AP correspondent Glenn Adams (grey shirt) in the Senate on Tuesday. Adams is retiring after more than 32 years in the field. “… Glenn is that type of guy who is so quiet on his feet, he had a clip board in his hand, and you’d often find a spot with him leaning up against the wall to have a conversation with him, I would agree that what else- whatever was or was not said, as far as his stories were always accurate and always fair, and he was the only one to accurately report that Senator Katz is actually a Yankees fan… just kidding, of course (laughs).